Have you been hearing a lot about LEDs lately? It seems as though they are turning up everywhere from car headlamps to city streetlights, but most of all in residential homes. So, why have LED lights become such a trend lately? It’s probably because the benefits they offer far outweigh the ones of incandescent and halogen lighting. So, if your home still sticks to the yellowish hue of traditional lighting sources, it’s about time you redefined your interior. And the following reasons will definitely convince you to do so! It’s no secret that LEDs come with a higher price tag, but with time, your investment will pay off in multiple ways. For one, due to the fact that they consume 75% less energy than traditional incandescent or halogen bulbs, LED bulbs can help you reduce your electricity bills. What’s more, they come with a long life span, offering 50 000 hours of use on average. 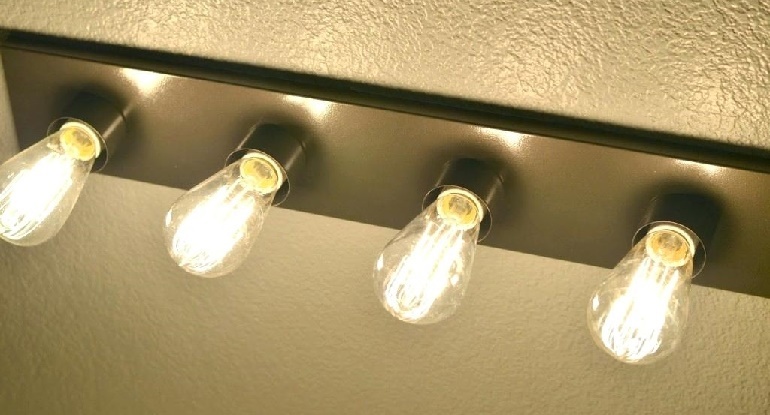 Just imagine how much you can save when you don’t have to purchase new bulbs for years! Besides the savings they offer, LEDs are also a popular choice for homes due to the fact that they come in a variety of styles and shapes. Ranging from LED globe bulbs to spirals, cones, strip lights, candle lights, oysters, pucks and more – you can easily find a model for every type of fixture. These various designs allow you to play with different lighting options such as uplighting, downlighting or accent lighting for a unique effect. What’s more, LEDs come in a variety of colours ranging from cool whites to violets and blues, allowing you to add some drama to your interior. But besides making your interior look more luxurious, LEDs can also make it more functional as well. Overhead LED fixtures with a high lumen output are a great way to achieve general illumination in the home. Since LEDs emit a much cooler light than other bulbs, they can help create an effect similar to daylight which can boost your mood and productivity. On the other hand, when you want to set a more intimate and cosy atmosphere in areas such as the living room or bedroom, you can use dimmers that soften the glow of the bulbs. As a result, your home’s lighting can inspire both productivity and relaxation. By replacing your old bulbs with LED globe bulbs, you get to make a personal contribution to saving the environment. How? For one, the fact that they are long-lasting means that LEDs produce less waste. And even when they become obsolete, LEDs are completely recyclable. What’s more, they are free from any dangerous chemicals, as opposed to fluorescent light bulbs and other traditional bulbs which contain many toxic materials, among which the much-feared mercury.